You wanted a job that paid well and was also rewarding, so you studied to become a speech-language pathologist (SLP). Being an SLP can help a wide range of people in a meaningful, tangible way. According to the Bureau of Labor Statistics, the average speech pathologist salary in 2017 is $76,610. But getting your degree in speech-language pathology could be costly. The average cost of a speech pathology degree can vary depending on where you live, if you’re in-state or out-of-state and if you go to a public or private school. A Bachelor’s degree from an out-of-state college can set you back $36,065 per year or $144,260 for a four-year degree, according to site CollegeCalc.org. Getting your masters can add even more to that. The Pacific University of Oregon speech pathology program costs $61,016. A master’s from Northwestern in speech pathology is almost double at $113,946. If you’re feeling overwhelmed by your loans, read on. 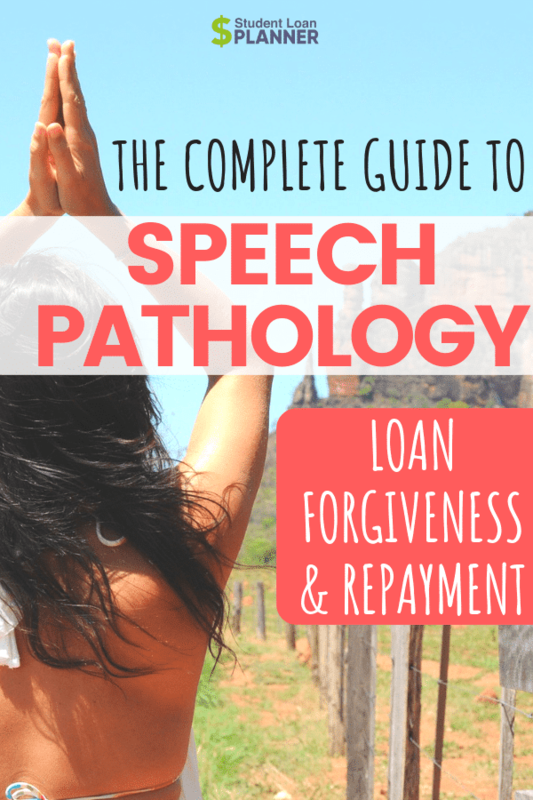 In this guide, we’ll cover speech pathology loan forgiveness and repayment options. If you work at a qualified nonprofit or government organization, you could get all of your student loans forgiven under the Public Service Loan Forgiveness program (PSLF). On one hand, you will likely have a lower salary working in the public sector, but then after 10 years of service along with 120 payments, you could be eligible to get the remainder of your student loan balance forgiven. So if you’re gunning for speech pathology loan forgiveness — meaning all of your debt completely gone — this is probably your best bet. Heads up though, there are some key eligibility requirements that you must meet. You must work full-time at a qualified organization or nonprofit, emphasis on the qualified. You don’t make that determination, so it’s best to contact your loan servicer and regularly submit the Employment Certification for Public Service Loan Forgiveness form to make sure you’re on track. In order to qualify, you must have Direct Loans in good standing and be on an income-driven repayment plan. After making 120 payments you can submit the application for PSLF and hopefully get your loans forgiven. We say “hopefully” because the program is just starting to forgive student loans under this program and so far the stats haven’t been so encouraging. Recent data has shown that only 96 borrowers out of 28,000 got approved for PSLF. But if you stay on top of your employment certification and play by the rules, this could be a good bet. 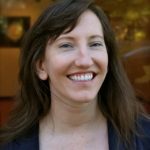 Do you work at a low-income school or educational organization as an SLP? You could be eligible to get up to $17,500 in speech pathology loan forgiveness under the Teacher Loan Forgiveness Program. To qualify for this program, you must teach full-time at a qualifying school or organization for five consecutive years. You can get forgiveness on your Direct Loans or Federal Stafford Loans, so long as you did not have a balance on October 1, 1998 or thereafter. Apologies to grad students or parents with PLUS loans — your loans aren’t eligible. Neither are Federal Perkins Loans. In addition to working at an eligible low-income school, you must be what is considered a “highly qualified teacher” that completed five years of service. So what does that even mean? If you’re new to this profession and teaching, this speech pathology loan forgiveness program option requires even more from teachers, depending on what grade you are teaching. If you have some years under your belt, there are other subject-specific requirements and knowledge you must obtain to be eligible for this program. After five years of service, you can submit your Teacher Loan Forgiveness Application to obtain speech pathology loan forgiveness. If you’re already committed to working with underserved communities and working in schools, this may be the avenue to pursue for loan forgiveness help. You’re not a teacher. You’re not working in the public sector. Are there any other options for speech pathology loan forgiveness? If you have federal loans, the answer is yes. Federal student loan borrowers who have amassed a lot of student loan debt that feels impossible to pay off can get on an income-driven repayment plan. Income-driven repayment plans allow borrowers to pay only a small portion of their discretionary income each month to their student loans. If you still have a balance after a long repayment period — 20 or 25 years — the rest of your loans will be forgiven. While that can seem like your get out of jail free card, it’s not. Uncle Sam wants his cut for forgiving your loans and will consider the forgiven loans as taxable income. The result? A tax bill that could still set you back financially. These plans can be great if you’re truly struggling to pay your bills and your student loans are a source of stress. Income-driven plans can make payments more manageable to give you some more breathing room. If you’re not necessarily looking for speech pathology loan forgiveness but want to ditch your loans fast, refinancing can help you pay off debt faster. How? By cutting your interest rate down so you end up paying less in interest and you can put those extra funds toward your principal balance. There are many student loan refinancing companies out there, each with different eligibility requirements. Working with one of these companies, you end up getting a refinancing loan that pays off your current student loans. After that, your debt is gone. But of course, you still have your refinancing loan, but hopefully at a better rate and a better repayment term that works for you. This is a good option for SLPs with strong incomes, good credit, and have no plans to pursue forgiveness. The downside of refinancing is that you end up giving up those lucrative repayment options like student loan forgiveness and income-driven repayment. That’s a lot to give up so you want to make sure it makes sense. You can use our calculator to review some prospective payment options and if you pursue refinancing, check out our cash back bonuses. One option to pursue is letting your employer help foot the bill for your education. I mean, you’re using your degree right, so why not? A Glassdoor job search shows that there are speech-language pathology jobs out there that offer student loan repayment programs. This perk can help lessen the burden of debt and be a good employee benefit. If you’re looking for a new job, keep this top of mind and see if your prospective employer offers any student loan repayment programs. Though speech pathology is a highly-skilled profession and useful in communities, it doesn’t come with the same perks that other people in medical or health industries get. Unlike doctors or nurses, who can take advantage of a lot of programs by state to help their loan repayment, there aren’t really state-based options for speech pathology loan forgiveness. The unfortunate part is there is a Loan Forgiveness for Service in Areas of National Need Program that includes speech pathologists, but it seems there is no funding for the program. So for now, your best options are the ones listed above. Need any extra guidance? Get in touch with a student loan consultant to help you figure out next steps. Did you know about these speech-language pathologist student loan forgiveness options? Hello, I am currently attempting to apply for teacher student loan forgiveness and I am getting the run around re: eligibility. They are stating that SLPs do not qualify for this type of loan forgiveness? Does anyone have any information? Please advise. Thanks in advance! Great question Melissa. If you have significant debt and work at a school, PSLF is a far better option than TLF because PSLF has no cap while teacher forgiveness does and it’s a very low cap. If you owe only a modest amount (like 5 to 15k) I would just pay it off as you probably wont qualify.